Apple releases 4 iMessage Sticker Packs: Most of the world people are waiting for the release date of iOS 10. Before that, the company launched the four latest iMessage Sticker packs (animated). Scroll down and check the official download links. This Four new sticker packs will be available only for the iOS 10 operating system. So, iPhone lovers are waiting for the iOS 10. This latest iMessage sticker packs and the most recent version of iMessage will make the users as easy to share the stickers to their friends and loved one via iMessage conversations. Apart from the static emojis, these packs will give the animated GIF stickers. It will be expected that the Apple will release more sticker packs after the release of iOS. Scroll down and get the direct links to the Apple App store. 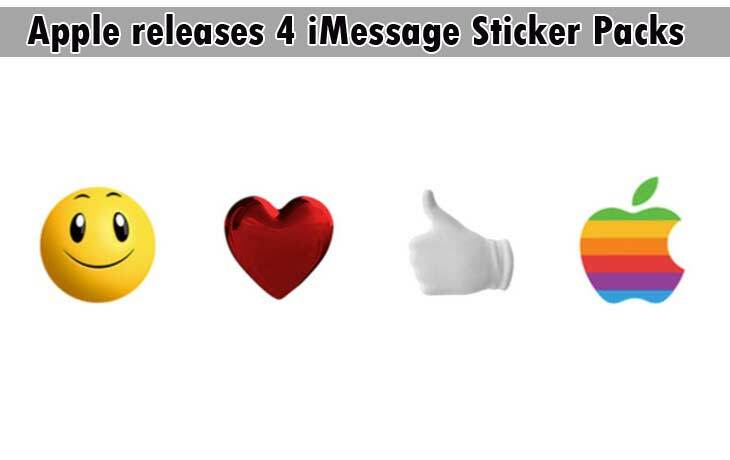 The Four latest iMessage Sticker Packs are named as Smileys, Hearts, Hands, Classic Mac. Stay tuned for More Tech Updates and News! Check his Social sites for More details. WORLDHAB is a world news portal that covers the latest news all around the world from politics, entertainment, sports, technology, blockchain, and all other revolutionizing industries. Contact us for Homepage Resource Link. WORLDHAB is one of a top-notch website in the news industry that covers almost all the categories. If you are looking to publish any Sponsored post or Guest post, Press release about your business, feel free to contact us.